UA Sport Wireless PIVOT is rated 4.6 out of 5 by 34. Rated 5 out of 5 by Bougieman83 from Great fit and sound These are very comfortable and have a great sound. I usually spend 45 minutes to hour at the gym each time and they stay in place the entire time! Rated 5 out of 5 by mrkstel from Solid earbuds with great features I've been using the UA Sport Wireless PIVOT earbuds for a couple of weeks now and I have to say that I am very impressed. The sound quality is excellent. I primarily listen to podcasts while I run and at work, and obviously these buds sound great. However, music is where they really shine. The treble is clean and crisp, and bass is very good for this style of buds, though I did notice a bit of distortion with the lowest bass notes. But that is to be expected with this style of earbuds. Speaking of size, these things are awesomely small compared to other Bluetooth buds, especially considering the 9-hour battery life. While other brands have that big battery pack that sits behind your neck or two large modules that stick out of your ears, these have no neck thing and the buds are only slightly larger than a wired set of buds. The most impressive feature, to me is the TalkThru Technology. This feature adjusts the noise cancelling/filtering to allow two different levels of background noise to pass through, allowing you to hold a conversation with them in or just hear your surroundings while you run or ride. The only complaint that I have is the fit. The buds come with three sizes of tips. For me, the mediums were just a little too tight and the smalls were a little too small. I ended up going with the medium due to the better seal in my ear canal which made them sound the best. Even with the tight fit they were fairly comfortable and I didn't notice any discomfort or hot-spots after wearing them for an hour or so. 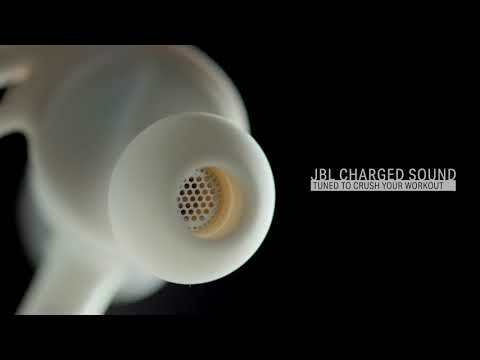 These are a great set of earbuds that sound great and offer some impressive features. If you are looking for a new set of premium earbuds, I highly recommend these. Rated 5 out of 5 by Actionjackson from Definitely the best for heavy fitness activities After getting the right size earpieces adjusted and attached, the headphones fit very well and the sound is very good, the best feature is really the ambient talk/listen button, because these fit so well and really block out outside sounds, that feature is really important so you dont have to remove the headphones to listen and talk! The UA Sport Wireless Pivot Headphones have an IPX7 waterproof rating for ultimate water and sweat protection, but we would not recommending using them while swimming.